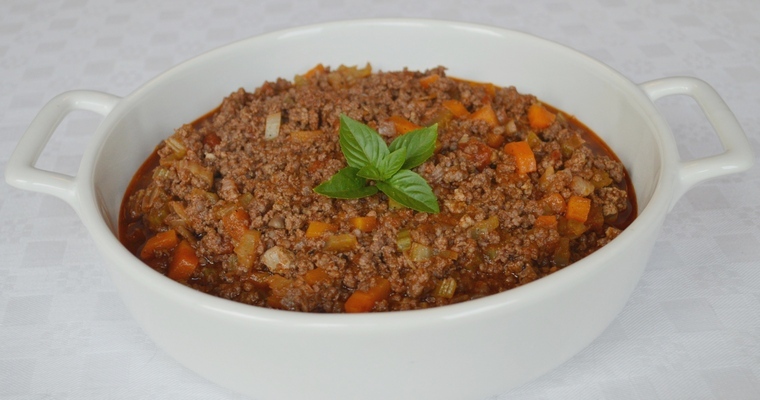 Ragu Bolognese is a simple but rich sauce that it usually served with pasta. The flavours and textures should be subtle and balanced, with no one ingredient asserting itself. 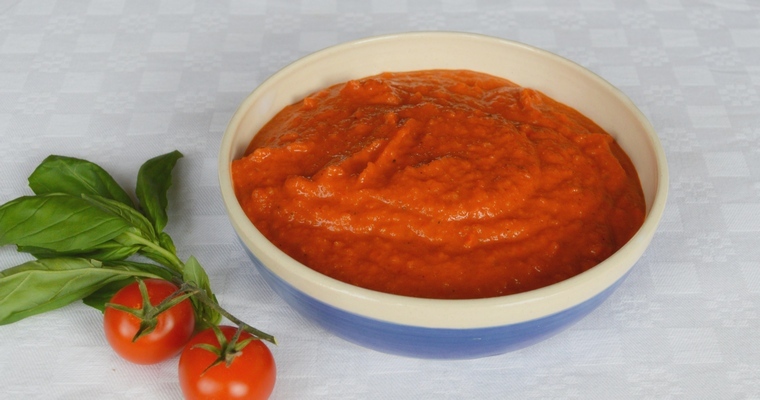 British people frequently make the mistake of treating it as a tomato-based rather than meat-based sauce. However, only a small amount of tomatoes are used in traditional recipes, as tomatoes add too much acidity. Another common misconception is that red wine should be used. However, red wine is too strong for the delicate balance of flavours – the tannins result in a heavier dish, and add too much savouriness. 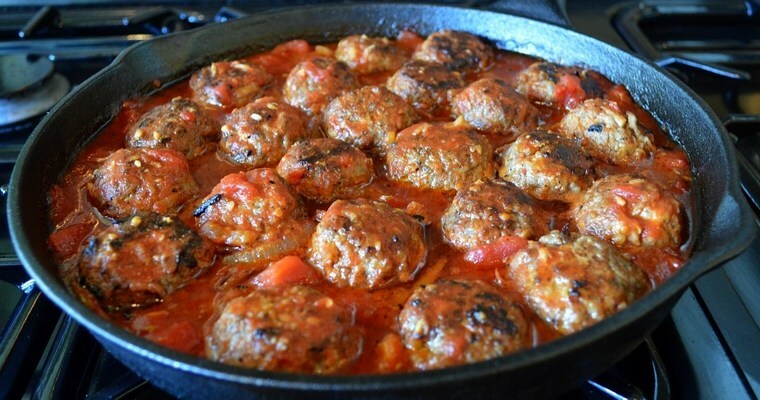 Unlike most meat-based stews, the meat is not seared over a high heat to produce a flavoursome brown crust. Again, browning the meat in hot fat upsets the balance of flavours, resulting in a finished dish that tastes much meatier than one in which the meat is gently stewed in liquid. It also results in a lumpier, chewier texture, which is not as pleasant as the silky smooth and tender texture of a superior Ragu Bolognese. Saute the vegetables. Heat the cooking oil in a heavy-based casserole over a medium-high heat. Add the onion and fry until translucent but not brown – about 4 minutes. Add the carrot and celery, and cook until it starts to brown – about 8 minutes. Stew the meat. Use your hands to crumble in the mince. Gently fry for 10 minutes, breaking up any large clumps, until the meat loses its rosy hue (you are not trying to develop a flavoursome brown crust). Expect a fair amount of liquid to be released after a few minutes. Stir in the chicken livers and fry for 2 minutes, stirring frequently. Add the wine. Let the alcohol burn off by bubbling on a high heat for 2-3 minutes. Check that the alcohol has burned off by smelling the rising fumes. Simmer the stew. Add the remaining ingredients (chopped tomatoes, tomato puree, water, salt, pepper, bay leaves and nutmeg). Stir until blended. Bring to the boil, then reduce the heat to low. Cover, and leave to simmer gently for 1 hour. Uncover, and cook for 1 hour more. There should be very little liquid at this stage, although the stew should not be dry. If the sauce is too loose, then cook for longer until reduced. Conversely, if the stew dries out during cooking, then top up with a bit of extra water. Transfer to a serving dish and serve hot. Alternatively, if serving with noodles, pour the sauce all over the noodles and toss until well coated before plating up. Vegetable ‘spaghetti’: allow 1 courgette per person. Trim the ends, and chop into thin strips using a spiraliser or a julienne peeler. Brown rice noodles: allow 70g per person. Leave to soak in just-boiled water for 10 minutes before draining.